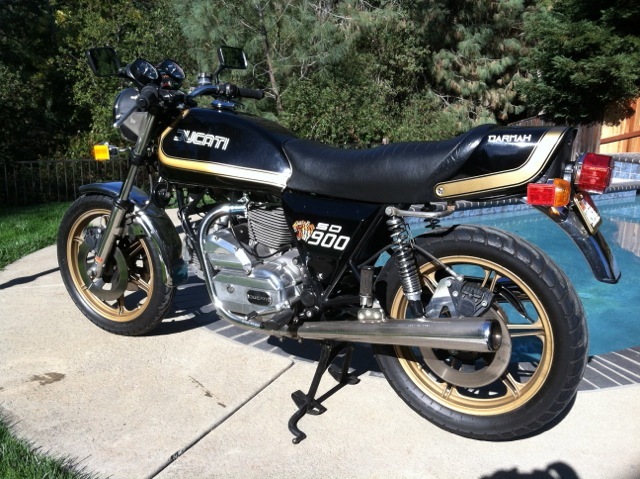 I bought the bike in 2004 unrestored and complete with 7400 miles showing. After changing fluids, filters etc and replacing tires and tubes I rode the bike locally and found out why it had so few miles. Oil leaked out of the countershaft area aggressively and was flung everywhere by the chain. I replaced the o-rings but that didn't help. It seems the sealed bearing that supports the sprocket end of the countershaft, wasn't. The two Bevel Ducati experts I related the problem to, had no explanation as to how the bearing became un-sealed. The factory seal was still on the motor so it hadn't been repaired with a substandard part and the only way to make it right was to disassemble the crankcases. Fortunately, I had access to the late Ed La Cruz in Reno and he replaced the bearing and confirmed the lack of wear on the rest of the motor. He also installed a Surflex clutch and bumped the bore to 883cc. Now the bike is leak-free and runs beautifully. 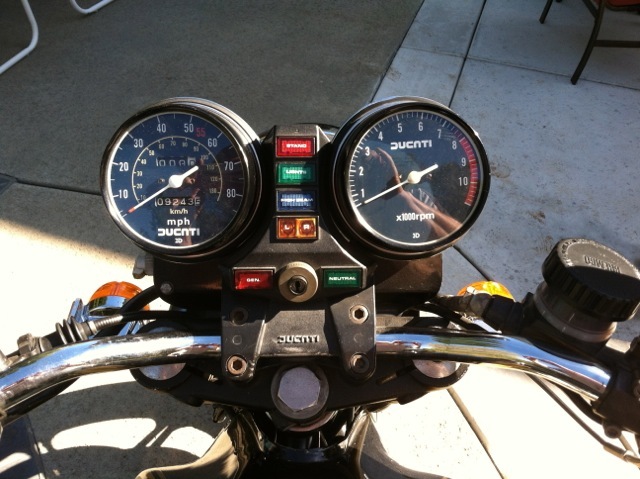 All indicator lights, turn signals work as new. The seat has been rebuilt with modern foam and really is comfortable. 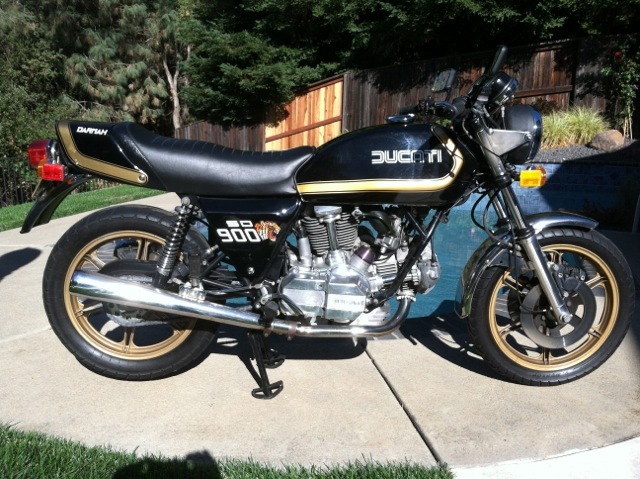 It is a great rider that looks and sound terrific but still has the patina of a 32 year old Ducati. The bike is located in the Sacramento area of California only a short 100 miles from Bevel Heaven.